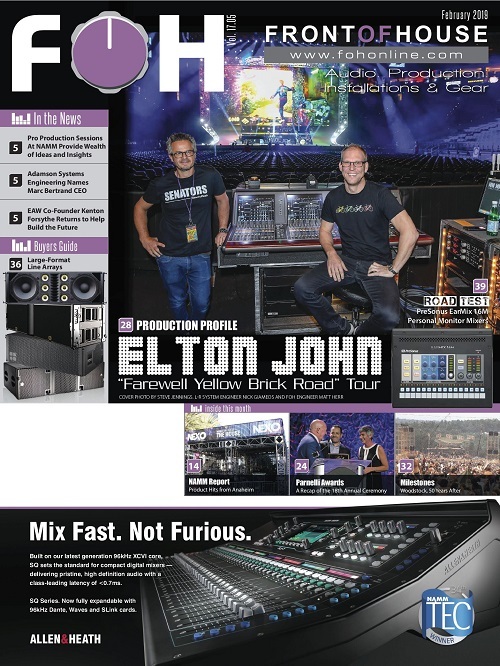 FOH hit the convention floor for a firsthand tour of new gear that stood out in the crowd. 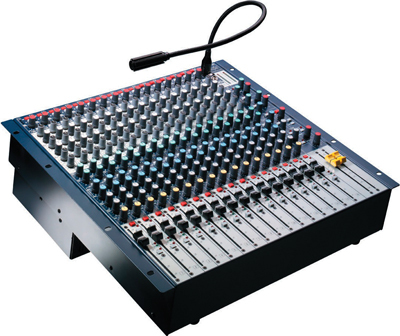 This 19-inch rack-mountable mixer is designed specifically for smaller installations in churches and performance venues, or for small portable PA systems. 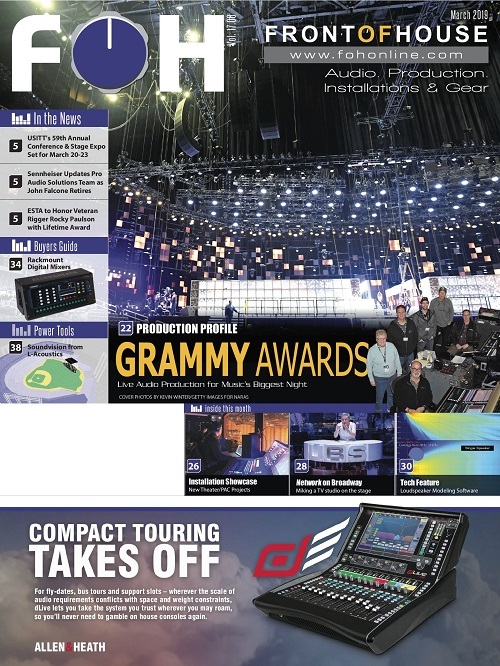 Available in two versions, the GB2R offers either 16 mono inputs to a stereo mix output, or a 12.2 version with 12 mono inputs, two full-feature stereo inputs and two group busses, each model having six auxiliary sends. 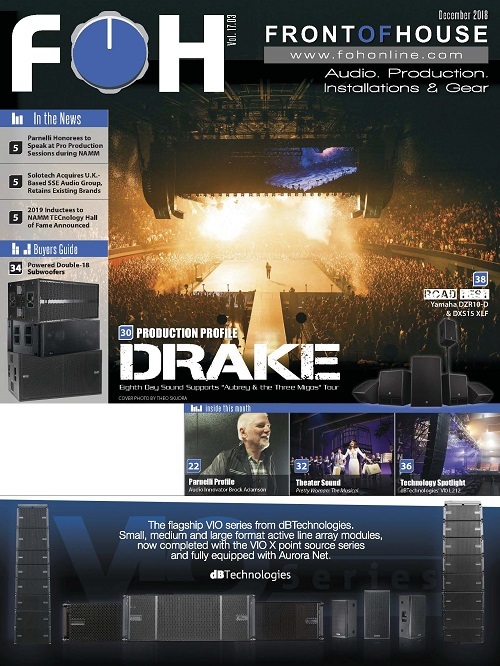 OVO Systems’ compact line array, the Lava, is a small vertical array designed to have a combined output of 1200 Watts RMS. 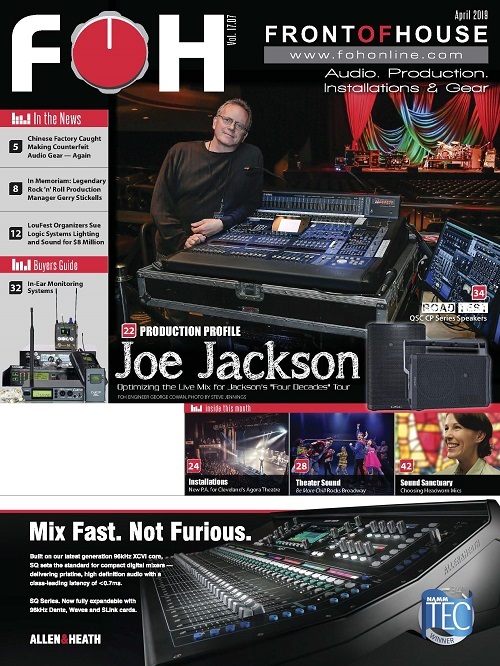 The Lava System is composed of four mid-highs and one low cabinet. Each of the four mid-highs uses two 6.5-inch woofers and a 2-inch compression driver; the low contains two 12-inch woofers, as well as housing a four-channel class H power amplifier. 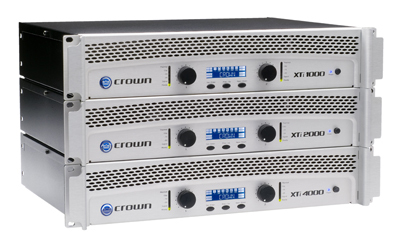 The amplifier wattage is designed to work with all com-ponents in the system and enables the user to easily control the frequency from 80 Hz to 250 Hz on the amplifier itself. 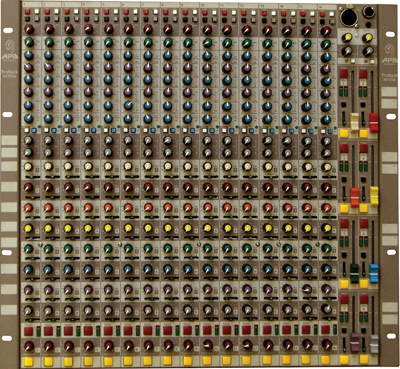 The system also allows for 16 positions of display angles for better dispersion of sound. 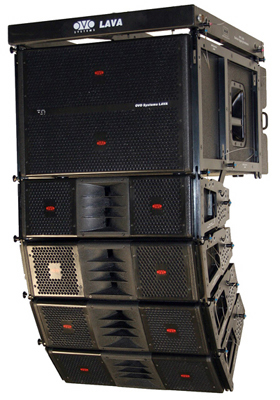 QSC's WideLine-8 is designed to give full-size line array performance in an ultra compact package measuring less than 20-inches (508 mm) wide and 9-inches (229 mm) high. Each tri-amplified WideLine-8 element uses a pair of high-power, neodymium magnet, 8-inch low-frequency drivers. Both cover low frequencies, while only one extends into the mid-range, thus maintaining horizontal dispersion control at crossover. High frequencies are handled by a premium, 3-inch diaphragm, neodymium compression driver mounted to QSC's patented, 140-degree multiple aperture diffraction waveguide. WideLine's wide coverage is designed to deliver a broader stereo image to reduce the need for supplemental fill speakers and allow for more placement options. The WideLine-8 sub houses a pair of 4-inch voice-coil, long-excursion 12-inch woofers and produces 135 dB (peak) SPL and has LF extension to 32 Hz. 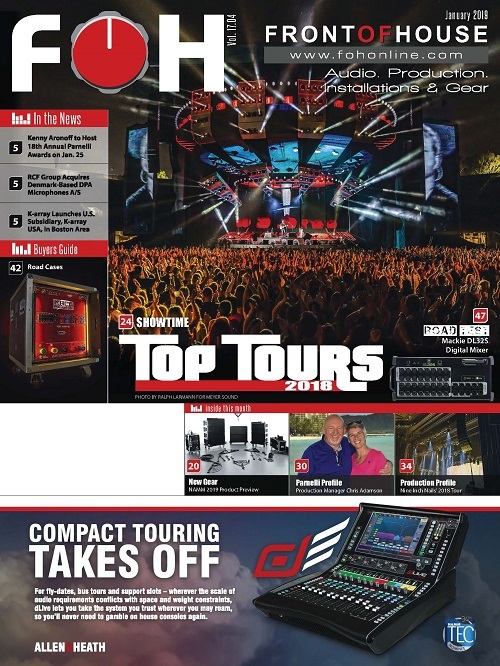 QSC Audio - 800.854.4079 - www.qscaudio.com.